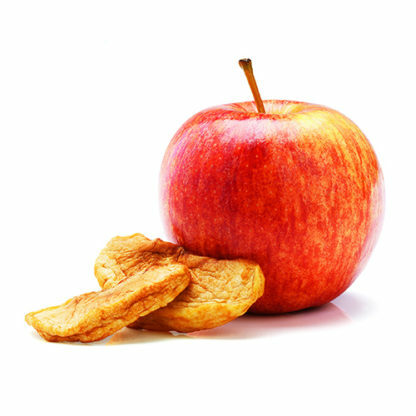 Our flavorful apples are completely natural and gluten free with no artificial color or additives. They are a perfectly wholesome addition in many applications or as a conveniently portable treat. Choose from a variety of both sulfured and unsulfured options. 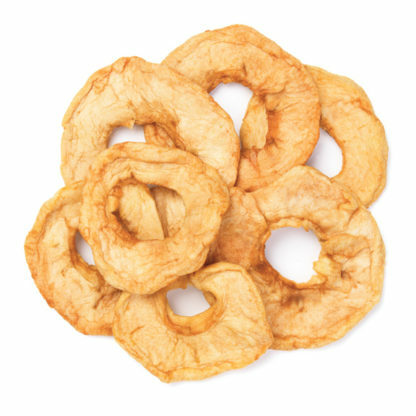 Unsulfured dried apple rings are prepared from sound, tree-ripened fruit that has been handpicked, washed, peeled, cored, sliced, and inspected. The rings are dried to the specified moisture level, inspected, and packed. 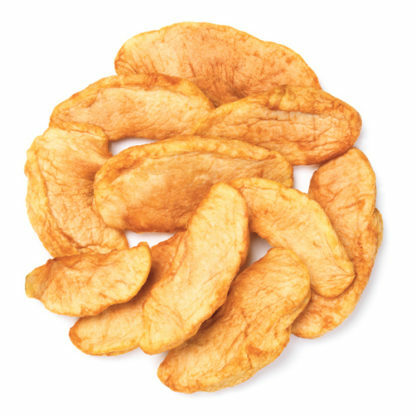 Unsulfured dried apple slices are prepared from sound, tree-ripened fruit that has been handpicked, washed, peeled, cored, sliced, and inspected. 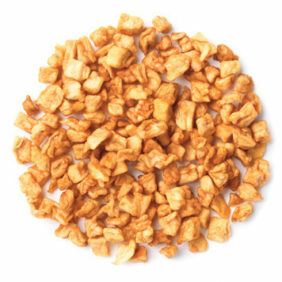 The apples are dried to the specified moisture level, inspected and packed. 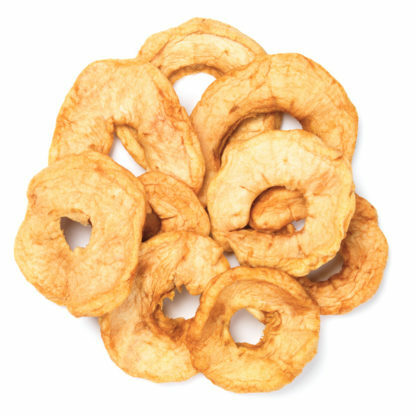 Organic dried apple rings are prepared from minimum 3-year certified fruit that has been handpicked, washed, peeled, cored, sliced, and inspected. 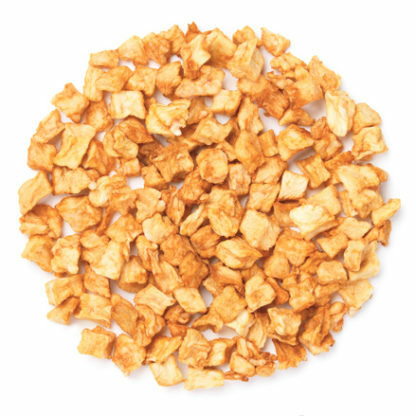 The apples are dried to the specified moisture level, inspected and packed. 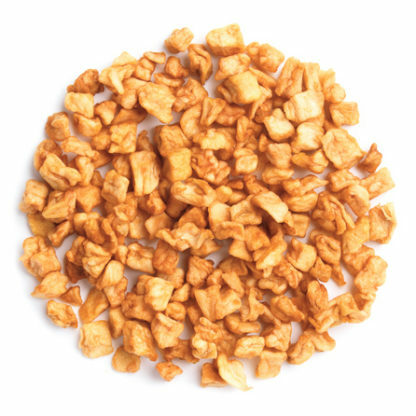 Organic dried apple dices (fresh cut) are prepared from minimum 3-year certified fruit that has been handpicked, washed, peeled, cored, diced, and inspected. The apples are dried to the specified moisture level, inspected and packed.